The autumn is probably one of the best seasons to spend in Bloomington. With the crisp air, falling colored leaves, and smells of barbeque and tailgates, it brings to you the true college town atmosphere. Not only is Bloomington ranked as one of the best college towns in the U.S., but it should also be considered to be one of the best destinations for visitors and tourists. 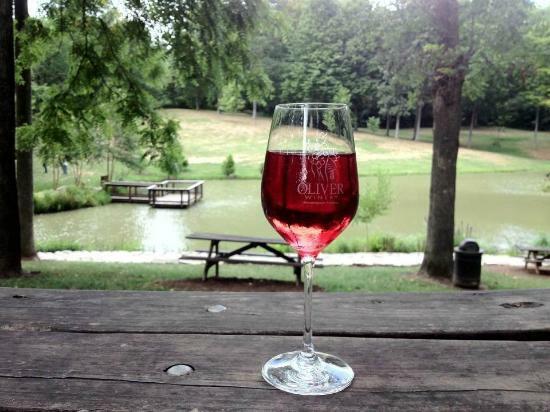 Don’t forget the infamous Oliver Winery. An Indiana favorite has jazz festivals, outdoor seating, and fun activities for the whole family. They also have an outlet on the Square in downtown Bloomington. Lastly, the city of Bloomington has cool boutiques and local restaurants to match your flare. Chose from “farm-to-table,” ethnic, and good “down home” Indiana and American fare! Book your trip to visit IU today! My Favorite Place in Bloomington!